Looking for a sturdy workhorse? Look no further than Janome DC2014. 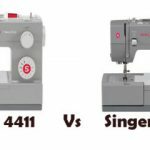 It is a highly dependable sewing machine. 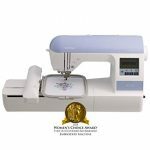 Janome DC2014 belongs to the ‘DC’ series of sewing machines rolled out by Janome every year. It all started in 2010 with the Janmome DC2010, from there on Janome introduced a new model every year and this year they have come up with DC2014. 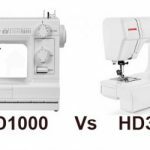 The selling point of ‘DC’ series machines from Janome is the quality and performance. All DC machines now have very good reputation. The only feature that differentiates each DC model is the color. This sewing machine comes with a hard cover. The handle easily pops in and out. It is not a lightweight machine though (over 22 pounds) but the handle makes it easy to carry. The weight comes from the heavy-duty metal parts used in the machine. It is equipped with a speed control for sewing. 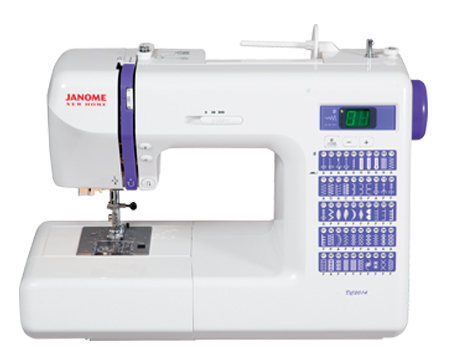 Janome DC2014 come with 50 built-in stitches, which includes all the essential stitches needed by a beginner. Stitches include three 1-step buttonholes. It comes with a bunch of accessories which you can store away in the accessory storage compartment. Once you take off the storage compartment, the machine can be used for free arm sewing. Janome DC2014 has decent lighting system on board. LEDs are good enough for sewing in the dark. It also has an automatic needle threader, which makes it super easy to thread the machine. It features memorized needle up/down as well. Janome DC2014 comes with a thread cutter on the side. There are separate buttons for locking stitches and reverse stitching. This sewing machine features a drop-in bobbin system with clear cover. All the settings are displayed on the LCD screen. Stitch width and length are automatically set for you, however they can be adjusted using the push-buttons. Presser foot selection suggestions are provided on the stitch chart. First time users may require couple of attempts to get used to the needle threader. It is super easy to change the presser foot, it pops on and off quite easily. Janome DC2014 goes through cotton and denim equally well. It sew through 8 layers of denim without even using the denim needle. The stitch quality is very impressive. Even though this machine has a strong motor inside, it operates quietly. It is an uncomplicated sewing machine. You don’t need an hour’s lecture to get going. It comes with a wonderfully written user manual.Something that a beginner will always love. The build quality of this machine is excellent. It has very few plastic parts when compared to other machines of the same category. The foot pedal that comes with Janome DC2014 is pretty lightweight, which makes it slide around the floor. Another thing is the number of built-in stitches, Janome could have included more for the price. Overall, Janome DC2014 is a dependable, sturdy workhorse. It is a quality machine for sure. 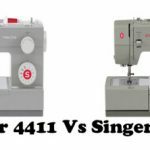 Amidst all the quality and performance that this sewing machine can provide, I can’t recommend it to you. The reason is the price. All DC series machines have the same features except the color (DC2014 is blue in color). 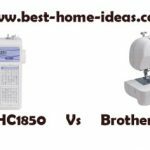 You will be better of buying Janome DC2011 which has the same features, the only difference is that it comes in pink color. And it costs a lot less. Paying extra dollars for just a different color variant is not really cool for me. I would rather buy a pink machine which costs less, than buying a blue machine that costs more (I love pink). It all comes down to personal preferences though.